Each year the American Horticultural Society (AHS) honors great gardening literature through the AHS Book Award Program. The awards, which are chosen by a distinguished committee of garden writers, began with the announcement of 75 Great American Garden Books as part of AHS' celebration of its 75th anniversary. Awards are chosen and presented to the publisher in the year following publication. In this fascinating book, celebrated author Judith Sumner rescues from the pages of history the practical experience and botanical wisdom of generations of Americans. Crossing the disciplines of history, ethnobotany, and horticulture --- and with a flair for the colorful anecdote --- Sumner underlines a part of the American story often ignored or forgotten: how European settlers and their descendents made use of the "strange" new plants they found, as well as the select varieties of foods and medicines they brought with them from other continents. From "turkie wheat" (corn) to "tuckahoe" (a Native American source of starch), Sumner describes the transition from wonderment to daily use, as homesteads were built upon and prospered from the plants of the New World. It is a remarkable story of the interdependence of plants and the American home. Historians, herbalists, home gardeners, and ethnobotanists will find American Household Botany a treasure trove of original research and insight. Finding an array of unique and diverse plants for shade might seem like a daunting task, with limited options available to the gardener. 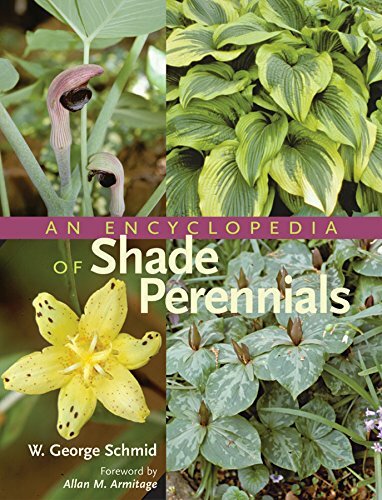 Shade perennial expert W. George Schmid dispels this perception in his new encyclopedia. This companionable reference provides information on more than 7000 species and cultivars in 184 genera, from Acanthus to Woodwardia - some new to horticulture, others unjustly overlooked, but all beautifully suited to the shade garden. Schmid has behind him a half century of practical gardening experience, horticultural education, and extensive travel observing shade perennials in their native habitats; readers are therefore treated to both useful growing tips and his personal associations with the plants. The expert text is rounded out with 500 stunning color photographs, many taken by the author himself. 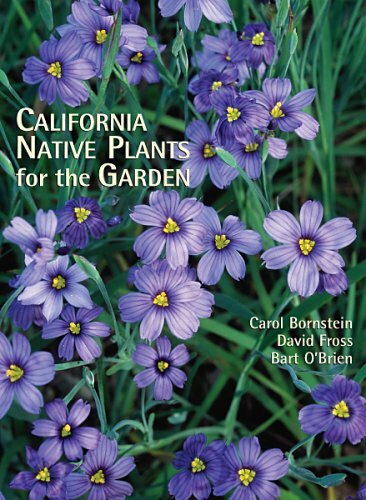 California Native Plants for the Garden is a comprehensive resource that features more than 500 of the best California native plants for gardening in Mediterranean-climate areas of the world. Authored by three of the state's leading native-plant horticulturists and illustrated with 450 color photos, this reference book also includes chapters on landscape design, installation, and maintenance. Detailed lists of recommended native plants for a variety of situations and appendices with information on places to see native plants and where to buy them are also provided. Why is it that in the midst of a war, one can still find gardens? In the most brutal environments, both stateside and on the battlefield, they continue to flourish. 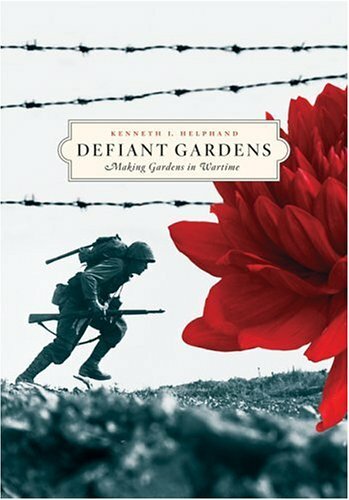 Wartime gardens are dramatic examples of what Kenneth I. Helphand calls defiant gardens gardens created in extreme social, political, economic, or cultural conditions. Illustrated with archival photos, this remarkable book examines gardens of war in the 20th century, including gardens built behind the trenches in World War I, in the Warsaw and other ghettos during World War II, and in Japanese-American internment camps, as well as gardens created by soldiers at their bases and encampments during wars in the Persian Gulf, Vietnam, and Korea. Proving that gardens are far more than peaceful respites from the outside world, Defiant Gardens is a thought-provoking analysis of why people create natural spaces. Eighteen masters of American gardening open the gates to their beloved gardens--and to their more than 1,000 collective years of horticultural passion, wisdom, and knowledge--in this exquisitely photographed gift book for every gardener to treasure. 250 color photos. 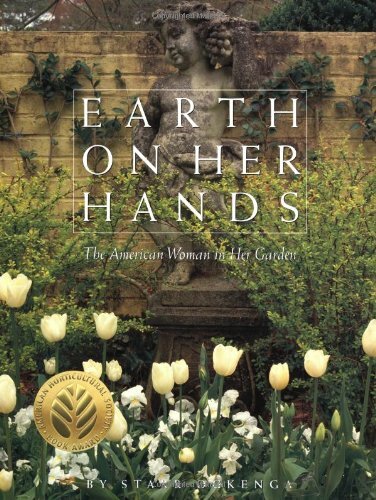 Earth on Her Hands celebrates the kind of people who have quietly and to minimal acclaim, over two centuries, developed and polished American garden style. These are the avid gardeners--mostly women--who establish and support community horticultural organizations and whose own gardens are examples of personal expression with unique local characteristics. Starr Ockenga has interviewed 18 women who have worked and shaped their land, often over the course of several decades, into their dream gardens. From Ellie Spingarn's Connecticut stone wall to Georgie Erskine's Southern California citrus allee, each has features that are unique but fit seamlessly into their environment. There are meadows, orchards, a bonsai garden, vegetable gardens carved out of woodland, one walled English-style garden, and one that's intensely French, with topiaries, espaliered bushes, and a copper-roofed teahouse. Each woman is a plant collector of sorts, and each garden description is accompanied by a list of recommended plants. This is a joyous, soulful book that explores the complexity of garden-building and the effect it has on gardeners' lives. Encyclopedia of Water Garden Plants is the definitive photographic reference to the full range of plants available to the water gardener. 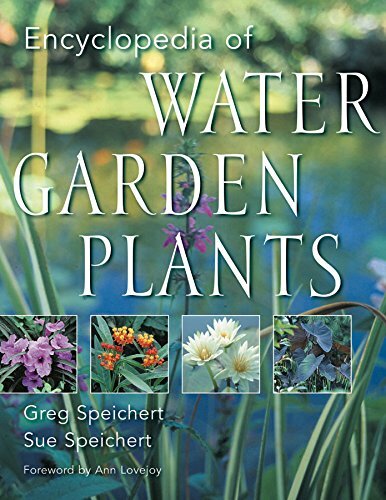 This volume includes hundreds of water garden plants often overlooked in other books, such as marginal plants, floating plants, bog plants, and submerged plants. Of course, waterlilies and lotuses are described in detail as well. The encyclopedia offers complete information on hardiness, culture, propagation, and pests and diseases. With more than 700 beautiful color photos and helpful introductory chapters on pots, soils, and fertilizers, this book promises to be the bible for the selection and cultivation of every water garden plant. From the United States' oldest landscaped gardens, such as Middleton Place in South Carolina, to such 20th-century masterpieces as Thomas Church's Donnell Garden in Sonoma, this volume presents gardens of historical importance and beauty. Archival images, drawings based on archaeological excavations and old maps, and photographs provide a view of the private garden in America from pre-Columbian times to the 21st century. This is a book for adventurous gardeners with an appreciation for temperate orchid species and native wildflowers. A surprising number of terrestrial orchids are hardy, some able to withstand temperatures down to minus 50F or minus 45.5C. Though they have a reputation for being challenging to cultivate, in truth, most hardy orchids are no more so than a rose. This is great news for gardeners, who will enjoy filling their gardens with their enchanting fragrances, vibrant color displays, and long-lived blooms. 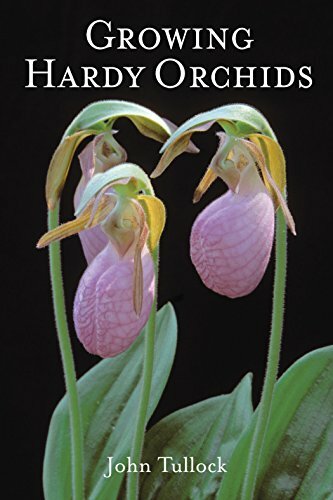 At the center of the book is a catalog of 103 hardy and half-hardy orchids. In addition to detailing the techniques of cultivation and propagation, the book covers conservation and includes lists of suppliers and organizations offering nursery-propagated plants-an especially critical issue for species in danger of extinction. PartNumber: col. Illustrations, ports. (chiefly col. This beautiful book brings together interviews and photographs of more than thirty Minnesotans who have imported the style and tradition of their native or ancestral lands into their gardening. 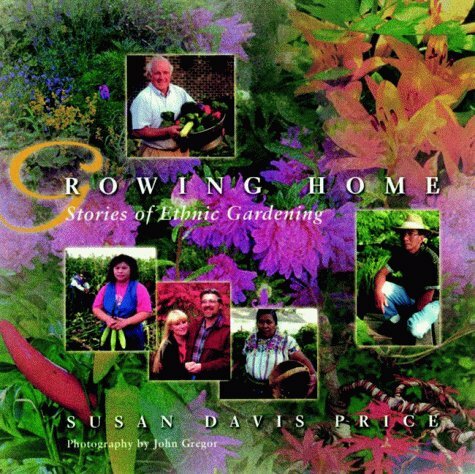 Susan Davis Price relates the fascinating stories of these people's lives as she explores gardening techniques and plants brought from every part of the globe. We meet Finnish-born Maiju Kontii, who cultivates the beautiful roses of her homeland, and Polish native Danuta Mazurek, who manages to grow the colorful, leafy alpines of the old country in her small urban yard. John Maire moved to Minnesota from the Sudan and has encouraged many fellow Africans to reconnect to communal lite through the Immigrant Farmers Coalition and a group farm located near Elk River. Next to their downtown Minneapolis high-rise, a group of Korean Americans grows a Peace Garden, which includes wild sesame and the lovely and edible Chinese bellflower. The profiles in Growing Home also feature American-born citizens who use their gardening as a link to their cultural past. Minnesota native Kevin Oshima yearned for a connection to his Japanese heritage and eventually earned the title "bonsai master" for his success in growing these temperamental trees. Seitu Jones considers his attempt to keep the city green a tribute to "all the marvelous, unsung black folks who've been gardening for years". A mere 10 years ago, hellebores were considered connoisseurs' plants-subdued in coloration, hard to find, and the subject of much snobbery. Today, however, they are among the hottest perennials, thanks to their early bloom, long-lasting flowers, shade tolerance, handsome foliage, and the profusion of new colors and forms that have recently become available. Authors Cole Burrell and Judith Tyler have produced what is arguably the definitive book on this genus, packed with up-to-the-minute, comprehensive information on growing, maintenance, design, hybridization and selection, and trouble-shooting. 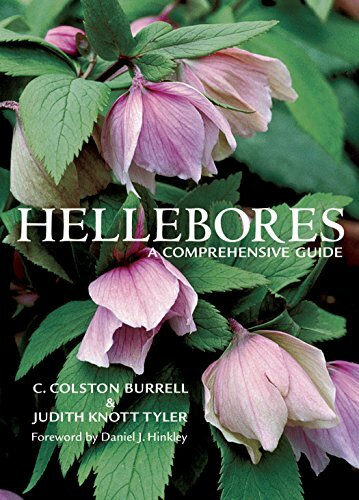 This lavishly illustrated volume will interest hellebore lovers at every level of interest. With fruit colored orange, yellow, black, and white in addition to the familiar red, sometimes lasting six months or more, hollies are ideal ornamentals. 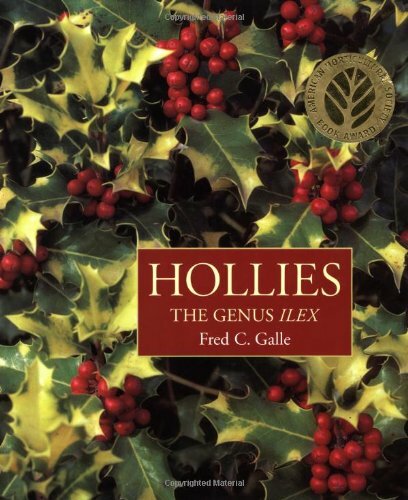 Hollies represents years of research by one of the giants of American horticulture, covering all the hollies in cultivation with descriptions of many of the 30 deciduous and 780 evergreen species, including upright trees of 60 feet to creeping prostrate forms. For people who love gardens, propagationthe practice of growing whatever you want, whenever you wantis gardening itself. 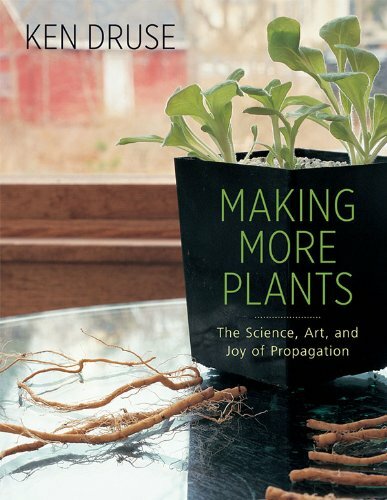 In this paperback reissue of the successful book Making More Plants, Druse, one of Americas foremost gardening authorities, presents innovative, practical techniques for expanding any plant collection, along with more than 500 photographs. Based on years of personal research, this is a practical manual as well as a beautiful garden book, presenting procedures Ken Druse has tested and adapted, as well as photographed step by step. Generally, a gardening book that teaches practical skills is designed to look more like a plain textbook than an artful coffee-table decoration, but Ken Druse (The Natural Garden, The Collector's Garden) has changed that with his gorgeous book Making More Plants. An invitation to examine the miracle of birth in the botanical world is at the center of this book, and you'll be amazed and delighted as Druse's photos and text bring this astonishing world to life. This year's heirloom tomato is a melon! Acclaimed gardener Amy Goldman, known to viewers of Martha Stewart and PBS, is a dedicated seed saver working to preserve fast-disappearing varieties of heirloom melons. Her book, Melons for the Passionate Grower, is a celebration of the speckled, bumpy, oh-so-sweet world of the melonfrom Minnesota Midget and Georgia Rattlesnake to Ali Baba and Sweet Siberian. Here she profiles more than one hundred varieties, each showcased in a full-color photographic still life recalling eighteenth- and nineteenth-century botanical paintings and engravings. 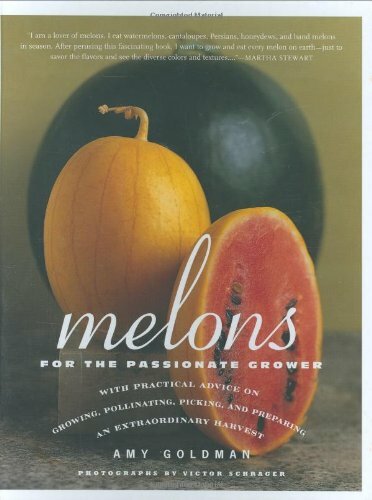 Goldman also offers expert advice on cultivating and selecting your own melons, as well as the rudiments of seed saving. Your local market probably carries only honeydew, cantaloupe, and watermelon, but it's the heirloom melons of the world that contain both remarkable succulence and the critical germ plasm that may ward off future plant diseases. Amy Goldman's tribute to the magnificent family of melons, Melons for the Passionate Grower is both a celebration of the rich gifts of these fruits and a cautionary tale of how many of these treats nearly went extinct. 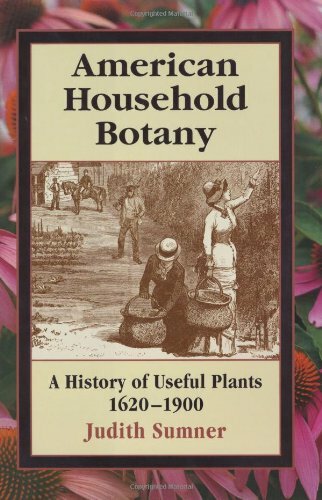 Before you get too caught up in the gorgeous photos and fascinating histories of these gems, note the seed company list at the end of the book--you can try to grow all the plants you read about. The introductory section includes detailed instructions on hand pollination, ripening, and a few recipes like watermelon salad with onion, pepper, oil, and vinegar in addition to the sweet melon.